If you’re like most therapists, you find running your own business requires a careful balance of client work and business tasks. No doubt you want to spend more time with clients and less time on administrative tasks. Finding the balance between these two tasks requires proper time management and minimal distractions. In this post, we’re going to look at two specific programs that will help you analyze and manage your time more effectively. RescueTime and StayFocusd (not a typo) are both productivity tools that have differences that complement each other. RescueTime is installed on your computer and tracks the programs and websites that you spend your time on. In addition to tracking your time, it provides excellent analytics with insight into your most and least productive hours and days over a period of time. If you feel the time spent at your computer disappears and you’re not happy with the amount of work you accomplish, then RescueTime can give you some insight. Compare the RescueTime Plans on the RescueTime website. StayFocusd is a productivity extension for Google Chrome that helps you stay focused on work by restricting the amount of time you can spend on time-wasting websites. Once your allotted time has been used up, the sites you have blocked will be inaccessible for the rest of the day. It’s highly configurable, allowing you to block or allow entire sites, specific subdomains, specific paths, specific pages, even specific in-page content (videos, games, images, forms, etc). After you use RescueTime and analyze your online productivity, StayFocusd helps you manage the distractions in your online time. StayFocusd can be used at a number of levels by individually limiting time, days and specific websites. For example, you may want to avoid Facebook only during the day. You can use it to limit your daily time spent on a website. If you want to access Facebook at any time of the day, you can set an overall daily limit of 30 mins. You can also use the “nuclear” option which blocks you from accessing certain websites, links or the entire internet. All of these options can be adjusted depending on your needs. You can also use the “nuclear” option which blocks you from accessing certain websites, links or the entire internet. All of these options can be adjusted depending on your needs. All of these options can be adjusted depending on your needs. 1. Limit your daily usage of Facebook to one hour per day. Check 30 mins in the morning and 30 mins at night. Knowing you have this time limit will help you focus on important tasks like updating your Facebook business page and responding to any comments. Out of each 30 min block, you might want to allocate 10 mins to catching up with the news feed of your personal contacts. Out of each 30 min block, you might want to allocate 10 mins to catching up with the news feed of your personal contacts. I use the notation <REVIEW> when writing. When I finish my distraction-free writing time, I can easily identify the areas that need further research by looking for the <REVIEW> notations. 3. You could block specific personal websites from your desktop computer and only access them through a mobile device. This ensures your computer is a purely functional workspace. There are a lot of good tools available to help increase productivity, however, sometimes the use of these tools can be counterproductive. We can spend a lot of time implementing, learning and managing the tools and then find that our overall goal of doing actual work is lost. The use of these tools should be based on your individual needs. If you are usually a productive person but find some tasks are difficult for you to concentrate on, then using productivity tools for that task can be useful. On the other hand if you find sitting at the computer in any situation results in more wasted hours than productive hours, then using tools like StayFocusd can be individually tailored to help you stay on track. I use RescueTime about twice a year because I find it gives me a snapshot of where I am spending most of my time. Most of my online time is consistently the same so I rely on doing one initial analysis of my time with RescueTime, and then make any changes to my workflow based on reviewing the reports. If I find my time spent online starts to become unproductive, I then use RescueTime for another 1-2 week period to get some insight on how my online activities might have changed. Once I have an analysis from RescueTime, I use StayFocusd to enter any websites that I want to block or allow. I also set parameters for time limits and days of the week to apply the StayFocusd rules that I set in place. RescueTime is useful in assessing how we might be wasting our time, but it can also help us estimate how long some tasks take so that we can plan our time accurately. Psychologists Daniel Kahneman and Amos Tversky proposed we have an optimism bias which results in us underestimating how much time we need to complete a task. This is called the planning fallacy. Tools like RescueTime can help overcome this bias by giving us actual data. In addition to the recommendation for RescueTime and StayFocusd, we’ve created an offline spreadsheet to use to track your time. You can either enter the data into excel as your day progresses, or you could print the worksheet out as a blank sheet and hand write your tasks and time spent in manually. Time tracking only needs to be done a few times a year to give you a true assessment of how you spend your time. Record your time initially to give yourself a clear picture of your activities. Once you have that information, you can then adjust your activities to improve your productivity. You can then do another time tracking session later in the year to see if your changes have worked. 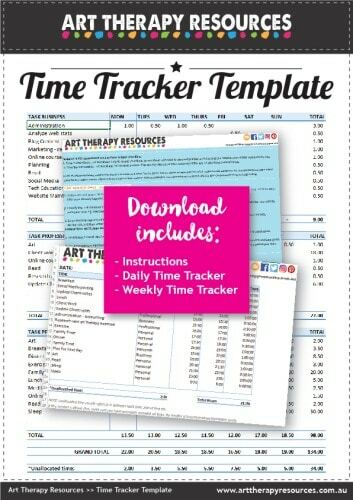 This tracker will help record your online and offline time, and other life responsibilities. You can access this template by signing up on the below link. 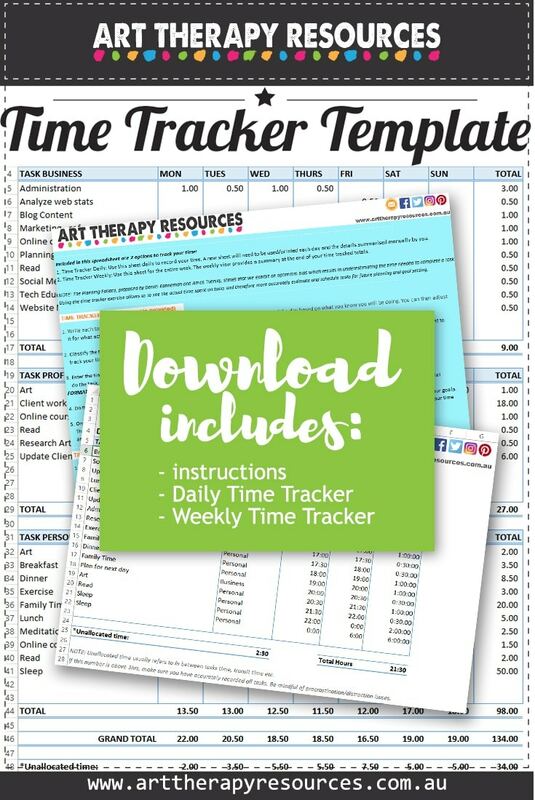 Download this excel Time Tracker Template.